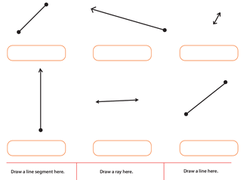 Give your child some practise identifying lines, line segments, and rays with this geometry worksheet. 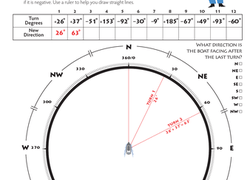 Learn some basic geometry with this worksheet all about the angle. Once students understand angle basics, challenge them to find missing angles in this exercise! Kids can complete this drawing of an adorable owl by using the grid provided, and cultivate early geometry skills at the same time. How well do you know your angles? Let's find out! 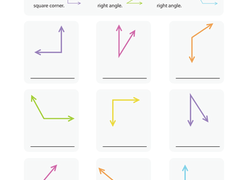 Use this geometry resource to help your students identify and differentiate between important angles such as acute, obtuse, straight, and right angles. Maths Review Part 3: Geometry Galore! 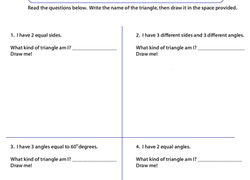 Use this year-end assessment to check students’ grasp of key year five geometry concepts. Use this fun maths challenge worksheet to review all kinds of polygons! 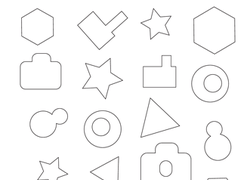 Help your third-grader learn about right angle geometry with this simple geometry worksheet. Kids completing this year four maths worksheet practise identifying right angles, acute angles, and obtuse angles. This fun puzzle provides lots of angle practise for your child. Can he figure out which way the boat is facing after the last turn? This cute piggy picture needs to be completed, and it's up to your child to use maths to finish it. Put that protractor to good use! In this geometry worksheet your student will practise measuring each of these angles using a protractor. Students get to practise measuring angles using built-in protractors in this fun geometry activity! After measuring, they'll put their angle knowledge to the test by classifying each angle as acute, obtuse, right, or straight. Geometry's a snap when you practise with an art project! Introduce your child to advanced mathematical concepts like shape and symmetry with a butterfly. How much does your fourth grader know about triangles? Can he figure out the missing angle in each of these triangles? 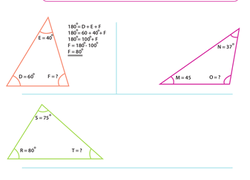 Looking for a worksheet to help practise basic geometry? 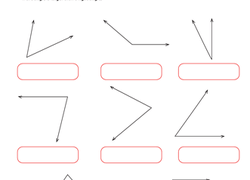 This printable works with identifying different types of angles. Find the missing angle in a triangle using addition and subtraction. 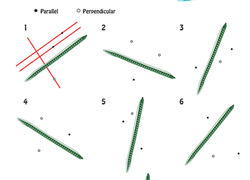 This worksheet helps kids understand the difference between parallel and perpendicular lines. This worksheet will introduce your child to the three types of triangles: the equilateral triangle, the isosceles triangle and the scalene triangle. Get to know your complementary angles with this helpful practise sheet! Remember, complementary angles add up to make 90 degrees. Use this handy worksheet to help your students review those tricky polygons! Introduce your child to different angles starting with an obtuse angle and see him find the obtuse angles in this worksheet. Help your child learn how to recognise congruent shapes with this fun worksheet. Help your students identify the differences between regular and irregular polygons!